Labyrintheon is created for both Android and iOS users as an incredible mix of thrilling games like turn-based board strategy, corridor, and maze smartboard games. This turn-based board strategy game offers high-quality graphics and sounds while testing the player’s skills of strategy and battle. Each move of the player matters in the game. Think smart and try to outsmart the opponent and stop him from reaching the other side. Reach the other side of the board before your opponent to win. To help the player along the way, there are power-ups he can use to outsmart the opponent such as shock waves, field switchers, wall punches and speed boosts. 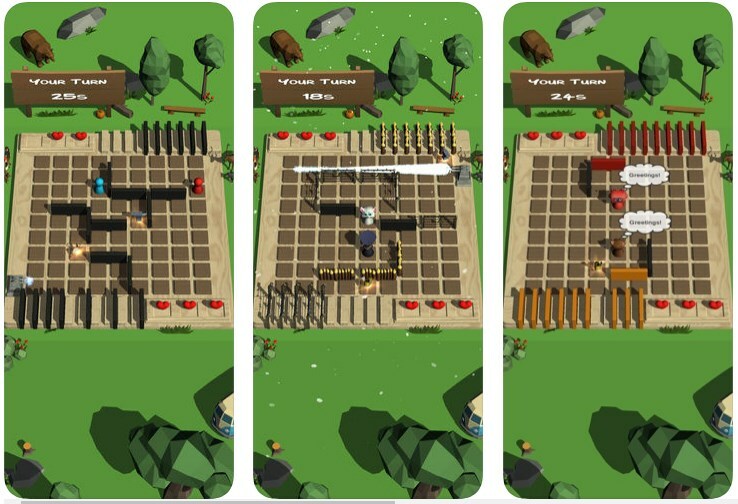 Each player can compete alone in the solo mode against the computer and choose a difficulty mode between modes like easy, medium and hard corridor board strategy battle. Also, the player can battle against other players or compete against his friends in the local board game multiplayer mode. The win and losses stats can be checked for any game mode at any time the player wants.